Sizzle and sear with the Essteele Australis 28cm nonstick Open French Skillet. Made of the highest quality heavy gauge stainless steel with a premium nonstick coating for effortless cleaning. This piece is a kitchen essential. The innovative, durable and ergonomic handle is made from a combination of high quality stainless steel and silicone rubber, providing a soft, cool to the touch, confident grip. For added convenience, the handle also features a hanging loop for easy storage. 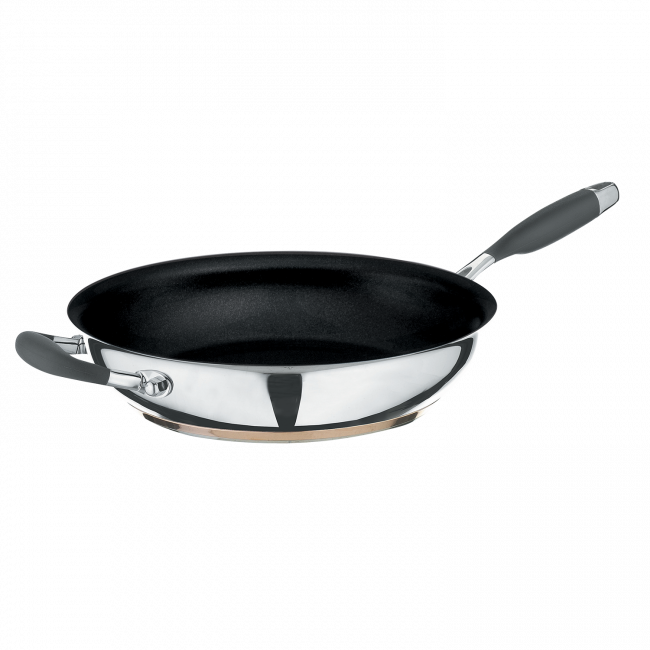 This skillet is also dishwasher safe, and oven safe to 200°C, for true versatility in the kitchen. Essteele Australis Non Stick 28cm Open French Skillet is rated 4.5 out of 5 by 2. Rated 4 out of 5 by mgod from I bought this with the credit I was given as it was cheaper than buying the large soup pot I have.